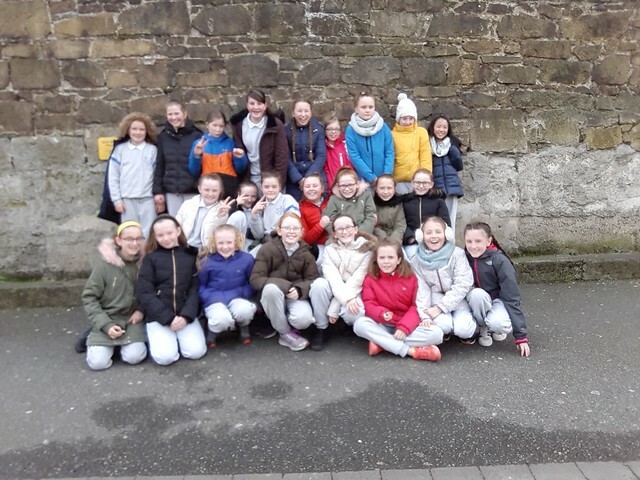 Ms.Farrell's 5th class had a great time at the Pavillion Theatre Dun Laoghaire for the Mountains to Sea Book Festival. They attended the 'Illegal' workshop given by authors Eoin Colfer and Andrew Donkin and the artist/illustrator Giovanni Rigano. They discussed the developmnt of the their new graphic novel and the true to life inspiration behind their story.Nerea, Francesca, Erin and Rachel W got to hold the microhphone and ask the questions. Giovanni drew every school a piece of artwork and Rachel D got to collect it on stage. It is signed by Eoin and Andrew and is a picture of the main character's sister called Sisi.